Legal Services - We maintain a clearinghouse of current changes in state and federal law, including their interpretation by various courts, and we can respond to your legal questions with just a phone call. Our legal services complement the work of the school attorney including individual board counseling, legal research requests and information regarding new laws and court decisions affecting public education. We also participate in court cases involving the rights and responsibilities of Connecticut boards of education. Media Relations - We continuously try to sharpen the understanding of the media and the public about the role boards of education play in shaping the future of public education and the quality of life of their local communities. 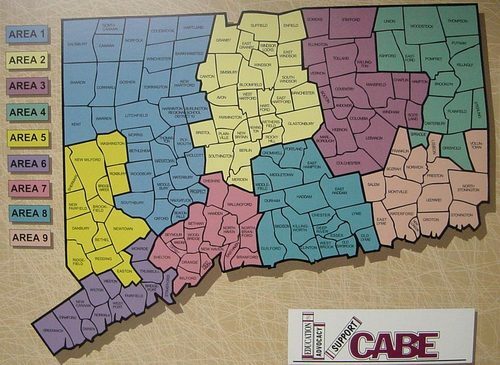 CABE leaders visit the editorial boards of the state's metropolitan newspapers and several large regional newspapers, expressly to convey the position of school board members on noteworthy education trends and legislation in Hartford affecting school districts statewide.